Minneapolis hot tubs dealer has been selling new and used hot tubs for sale since 1983 – Publishes free health tips to promote American Heart Month. February is American Heart Month and that means people need to be reminded of just how important a healthy heart is and why they should make getting one a top priority. According to the National Health Information Center, "Heart disease kills an estimated 630,000 Americans each year. It’s the leading cause of death for both men and women.” To help prevent heart disease and increase awareness of its affects, Hot Spring Spas of Iowa and Minnesota is proudly participating in American Heart Month. In the United States, the most common type of heart disease is coronary artery disease (CAD), which can lead to a heart attack. You can greatly reduce your risk for CAD through lifestyle changes and, in some cases, medication. Here are a few ways you can improve your heart health. Weight Management - Carrying extra weight is unhealthy and it places extra stress on the heart. Even just a few pounds of extra weight cause the heart to work faster. An effective and inexpensive way to give our hearts a break is to shed a few pounds. Besides keeping your heart in great shape, losing a couple inches can take years off and improve your energy level. Nutrition - Another super simple heart fix that people can participate in is eating a balanced diet. Yes, it’s true. Nutrition plays a major role in keeping your heart healthy. Remember those cheese fries and that extra cheesy pizza? Probably not such a great idea for the heart. This month, stock up on heart healthy fruits, vegetables and lean proteins. Stress Management - Finally, learn to take the stress out of your life and your heart will thank you for years to come. Easier said than done? Not really. How about a relaxing dip in the hot tub for reducing stress and even lowering blood pressure- it’s true. Just a few minutes at the end of a long day and you can improve your health dramatically. The warm water is relaxing, calming and exactly what the heart needs after a stressful day at the office. And with additional health benefits, your hot tub experience can keep your blood pressure low, your arthritis in check and your heart happy as can be. Consumers wanting to find the Hot Spring Spas location nearest them are encouraged to visit the company website for more information. The website address is http://www.HotSpringGreen.com. 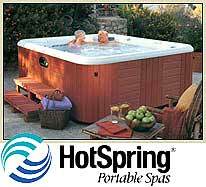 HotSpring Spas of Minnesota and Iowa offer a large selection of new and used hot tubs and saunas for sale and a variety of hot tub, sauna, repairs, parts, and accessories. We are Minnesota's and Iowa’s premier source for Hot Spring Spas and Hot Tubs, Saunatec and Finnleo Saunas, A & B Backyard Accessories, and proudly carry the SilkBalance for Spas water treatment system. To learn more, pick up a copy of our free report “7 Critical Questions You Must Ask Before Your Buy a Hot Tub”. Just give us a call at 651-731-9745 or go to http://www.HotSpringGreen.com.